Frank Carillo is the Chief Executive Officer of ECG. 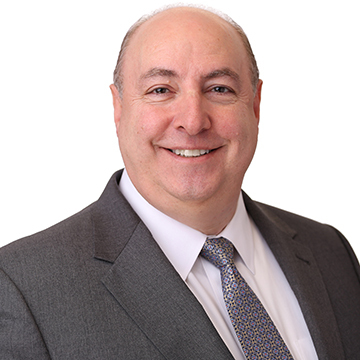 Beyond Frank's overall management of the firm's pharmaceutical and healthcare specialty practice, he has worked with clients who must present new drug applications to FDA Advisory Committee meetings for approval and commercial release. In doing so, ECG has achieved an impressive record of success. In the ever-changing and highly charged world of healthcare delivery and management, Frank and his partners consult and coach CEOs and senior executives of pharmaceutical companies, health care providers, experts from academia, legislators and consulting firms on strategies that address this volatile national issue. In that capacity, Frank has been instrumental in the success of numerous FDA Advisory Committee meetings, generating a powerful record of approvals. Frank and ECG have an incomparable record of success in building the explanations and advocacy necessary for helping regulators and academicians see the benefits in new data while maintaining appropriate context around risk. He has authored multiple articles for business and professional journals and has been featured on various national media outlets including CNN, Bloomberg, CNBC, ABC News, and Fox News. Frank is also a prominent community leader. This role extends to his work with spokespeople for several religious denominations. Frank is a graduate of the University of Pennsylvania's Wharton School of Business and sits on the board of directors of several foundations and public companies.